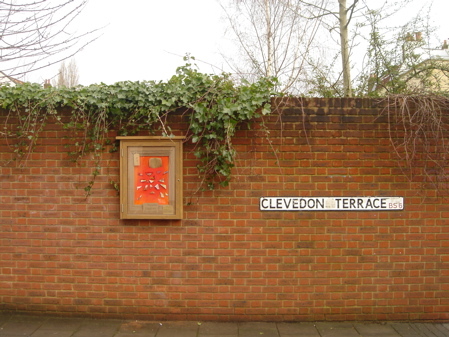 The first of two new community noticeboards has now been installed in Clevedon Terrace on the wall opposite the pub, near the junction with Kingsdown Parade. To celebrate its launch the noticeboard is currently hosting an unfolding artwork — the Moving Story of Kingsdown, in 30 frames (a month) — by Deborah Evans. A new frame in the story will be posted in the noticeboard each day from Tue 27 Jan to Wed 25 Feb. If you miss a day you can catch up by looking at the photos on Flickr. You can even view them as a slideshow. UPDATE: You can now also buy the book!